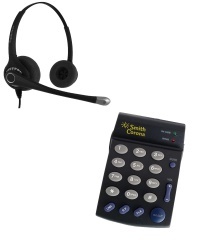 Enhance your life with the simplicity of a Smith Corona headset. Over 100,000 Home Agents Served and Counting! In the last decade, telecommuting has gone far beyond what we ever imagined. More than 40% of employers offer some form of work that can be performed at home. Industries experts believe this number will increase dramatically in the near future. 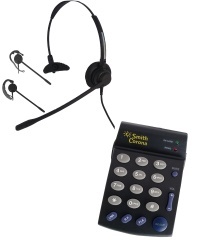 Comfort Telecommunications, Inc works closely with many of these companies and agents. 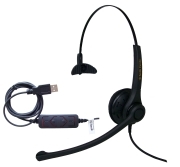 We have put together packages to help agents choose the necessary equipment they need to perform their jobs while keeping in mind the cost and the importance of quality as well. 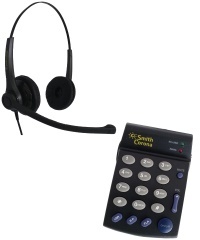 What headset do you need? Please refer to our list below for some of the more popular companies. If you do not see your company list, please contact us via email at support@comfortel.com or 800-399-3224. 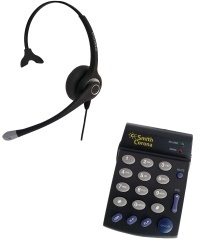 We've packaged our most popular dial pad the PD100 with our most popular and requested headsets to bring the users high quality equipment. If your company is not listed and you need help with your requirements, please contact us at 800-399-3224 or email support@comfortel.com. 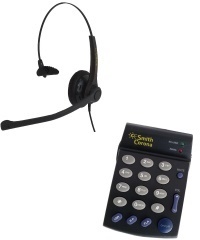 You may also visit www.workathomeheadsets.com For questions please visit our FAQ page.